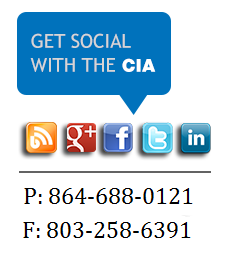 Here at the CIA, we are introducing new Brokered Business Programs for risks that qualify with our Nationwide Insurance program. Only Inflatable Equipment Rentals, Inflatable Indoor Centers, Rock Climbing Walls, Trackless Trains and Eurobungy (Euro Bungee) are eligible. The broker applications deal with online applications only, Accords are not used. We must also receive 5 years loss history & other listed documents with the application. 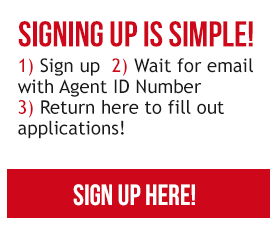 Sign your agency up today! HOW DOES THIS BROKER PROGRAM WORK? #2: Upon Completing the form you will be redirected to your control panel. Please provide copies of your property/casualty, life/health licenses and your E&O and complete a copy of the producer agreement online. We will need these documents before we can bind coverage with you. #3: Once you are active you can begin filling out applications! NOTE: Make sure that you only fill out applications on the broker page so that you can get credit as a broker. Need help? Watch what to do step, by step. Once you are active (pending document review) you are ready to start filling out BROKER Applications by logging in to your control panel. In order to get credit you must fill out an online application listed in your control panel..
Only Inflatable Equipment Rentals, Inflatable Indoor Centers, Rock Climbing Walls, Trackless Trains and Eurobungy(Euro Bungee) are eligible for commission. We will need a signed agreement before we can work with you. We will also need you to upload copies of all your agent insurance licenses & your E&O Insurance policy. Best team for service and results in the 32 years of my insurance career.